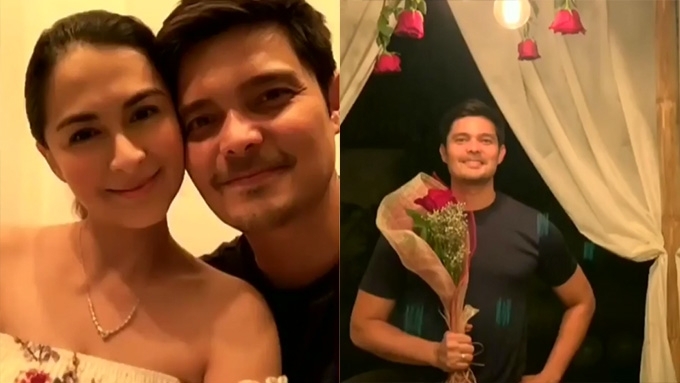 Dingdong Dantes thanks his wife Marian Rivera for her sweet surprise on Valentine's Day: "This beautiful setup greeted me when i came home tonight. Wala akong masabi. Hanep..."
Instagram was flooded with Valentine's Day-related posts on Thursday, February 14. Though it was not an official public holiday in the Philippines, many Filipinos—even celebrities—exerted extra effort and time to show their appreciation for their loved ones. The Kapuso Prime-time Queen surprised her husband with a candlelit dinner at their garden. The sweet gesture was well-appreciated. On Instagram, Dingdong wrote, "This beautiful setup greeted me when i came home tonight. "Wala akong masabi. Hanep. Saktong kwentuhan, tawanan, at syempre— panalong boodle fight! 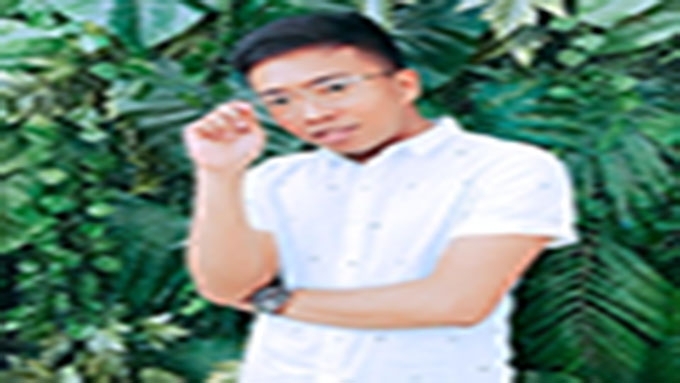 Salamat sa aking mag-iina. @marianrivera"
The lovebirds enjoyed a bottle of champagne while watching the sunset aboard a yacht in Manila Bay. The Star Magic talent greeted her Instagram followers, and wrote, "Happy Valentine’s Day! I hope your heart is full just like mine. Sharing this photo of the beautiful sunset earlier today." Gerald, for his part, updated his Instagram Stories with a sunset photo. The Kapuso couple spent the night playing mobile games. Mikael also ditched the traditional flowers and chocolates as gifts for Megan. Instead, he bought her a new skin for the character she's playing on Mobile Legends. Megan posted their photo on Instagram and wrote a lengthy caption, "When Mikael and I first got together I had one rule for gift giving - no flowers. "I'm usually the one giving him flowers hehehe he's always been supportive of my love for games and decided to treat me to a new skin for my characters in Mobile Legends Bang Bang. "so for those asking how you can support your partner that loves gaming? "Use your Mobile Legends account, go to Store, click Skins - Buy and Send #gamergirlfriends #MLBBxLove #MLBB"
KC and her French beau went on a nature trip to San Vicente, Palawan. On Thursday, the former actress wrote on Instagram, ""Happy Valentine’s Day, beautiful people... If you don’t have a partner remember to date, pamper and love yourself." TomCar, the couple's moniker, flew to Japan with their families. They have been exploring the streets of Osaka and Kyoto since Sunday, February 10. The married couple are also enjoying the chilly weather in Japan. On Thursday, Paul Jake posted a photo on Instagram taken on a busy street of Osaka. The two flew to Netherlands, and have so far visited the windmills at Zaanse Schans, a town in Zaandam, near Amsterdam, and Moco Museum, which showcases contemporary art. Jasmine's post on IG read, "Loco with this Mocong @jeffortega Happy Valentine's day lovers of the world and of life!" Gabbi and Khalil had a dinner date at FOO'D by Davide Oldani in Taguig City. The Kapuso actress posted, "good food, great stories, perfect partner. Happy Valentines"
For his part, Khalil shared a photo of his amazing view: "Oh, to be loved. Oh, to give love. Happy Valentines"
Doug got a bouquet of roses for each member of his family—his wife Cheska and their three children Kendra, Scarlet, and Gavin. He wrote, "Got everyone flowers, including sleepy Gavin! "My advice, don't forget to make your loved ones feel special other than today! Carmina was surprised to find a bouquet of blue flowers inside her bathroom. Later that day, she, her husband Zoren Legaspi, and their twins, Cassy and Mavy, all stayed home, and enjoyed a bottle of wine and cheese platter. The lady of the house was very happy, and exclaimed, "Happy Hearts Day guys! Love [seven types of heart emojis]." Heart and the senator had a staycation at Raffles hotel in Makati City. Aside from Valentine's Day, they also celebrated their 4th wedding anniversary and Heart's 34th birthday. Heart wrote, "My husband and I decided to have a lovely little staycation to ring in our wedding anniversary. "It was a night of rest, relaxation, and of course, our favorite red wine."